Piano Tuning shouldn’t cost an arm and a leg. Doing it yourself, with all the tools and supplies, is out of most peoples’ price range. Additionally you want a professional to give your piano the care it deserves. From Full Restoration to a simple Maintenance Plan Piano Tuning Pros are here to help. Meet Jason Calvi. With 18 years of experience he is ready to be your piano expert. Jason Calvi works valley wide in both sales and service catering to all your piano needs. If you need your piano sold, call your tuner… Jason will make sure it sound exceptional to any prospective buyers. 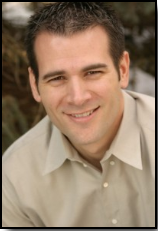 ​​Jason Calvi Piano Tuning is dedicated to serving the entire Phoenix Valley. Areas of service include: Gilbert, Mesa, Tempe, Chandler, Ahuwatukee, Phoenix Metro, Avondale, Peoria, Glendale, Surprise, and Goodyear. ​Chandler Arizona is located in beautiful Maricopa County. It has a rapidly growing population and has over 260,828 residents. Chandler was founded May 17, 1912. Zip codes 85225, 85224, 85286, 85248, 85249, 85247, 85246. ​When you have somebody tune your piano, you may think that the purpose of the tuning is simply to make it "in tune". However, you'd be surprised at how many different definitions there are of tuning, as typically tuning involves making notes be spaced out among certain intervals in a specifically designed system. In other words, tuning is relative. Here at Piano Tuning Pros, we believe that it is incredibly important to not only know that your piano is in tune, but how it's in tune. This is why we are known as the most efficient and prolific piano tuning company in Phoenix metro area Arizona, as we're able to tune your piano accurately and quickly while also providing extensive knowledge of the process itself.